It is impossible to list all the wonderful things you can taste or places you can visit in a short time. In addition to Gardone with Il Vittoriale, the cloister at the Montecastello sanctuary, the valleys known as ‘Le Caravelle’, it is interesting to mention a few local places that are particularly appreciated. 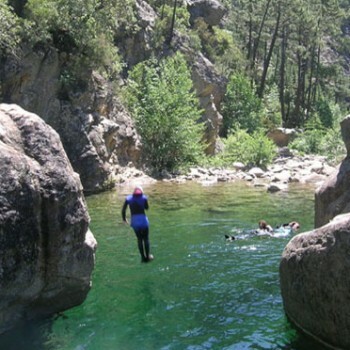 There is particular interest in the twice weekly guided visit to the nearby oil mill, and other extremely striking places such as the Lemon house, the Alpini Refuge, the cheese factory, the multimedia centre and the botanical garden. Gardola, the administrative centre, and the 5 hamlets spread over the high plain, Piovere, Oldesio, Olzano, Aer and Prabione make up the municipality of Tignale, bordering onto Tremosine, Magasa and Gargnano. 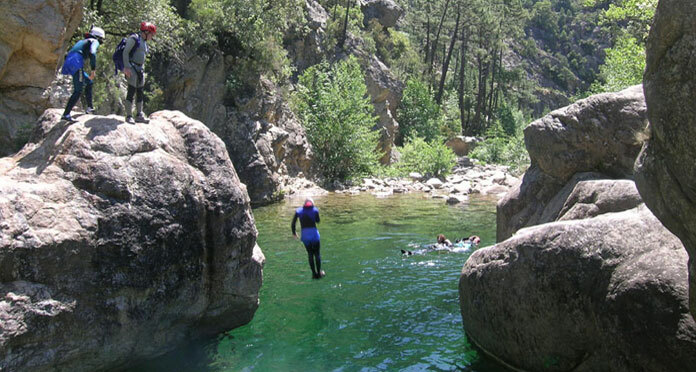 The lake, hills and mountains up to 1560m in altitude in this area offer wonderful views. Towards the lake the olive trees growing on typical terraces dominate; along the rocky ledges it is Mediterranean brush (laurel, rosemary etc). Further inland you will find lovely meadows and woods (with pine, ash, chestnut, oak and beech trees). 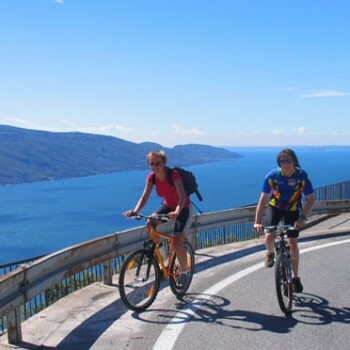 Tignale can easily be reached via the provincial road that climbs from the Gardesana lake side road approximately 4 km north of Gargnano; not quite as easy, especially during the winter months, is the Tignalga road that links Tignale with Tremosine. 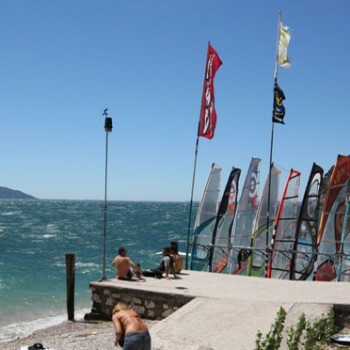 Tignale offers a wide range of modern tourist facilities including about a dozen hotels, two resorts as well as several residences, rooms to rent, local restaurants, bars, tennis courts and swimming pools. 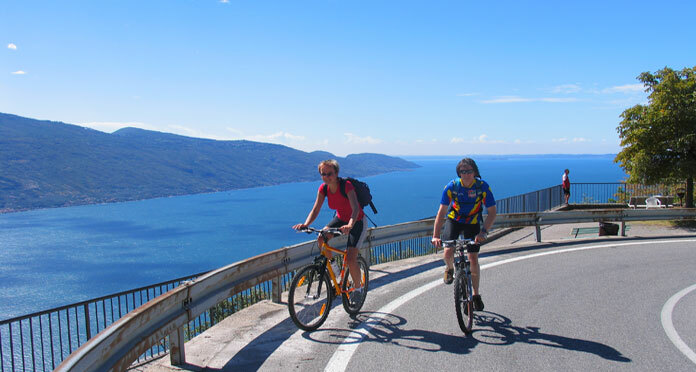 There are may places you can visit, either hiking, on a mountain-bike or by car. Recently restored, the sanctuary is one of the best known sacred places on Lake Garda, especially due to the leading role it has played in historical events and its architectural and artistic value. Built upon the remains of an ancient castle, the sanctuary houses a small chapel called the Casa Santa, which dates back to 802 and contains a well preserved 14th century fresco from the school of Giotto. Of interest are canvases by Andrea Celesti (1637 – 1712) and some others offered, amongst them, that of the Comune of Tignale for the slaying of the notorious bandit Zuan Zanone (1617). A hermitage adjoining the church welcomes thousands of pilgrims each year. From the main road, at regular intervals on the climb to the Sanctuary you will find small chapels depicting the mysteries of the Holy Rosary. The Visitors Centre is represented by a journey that winds its way using images and sounds, evoking people and the reconstruction of the environment, naturalistic collections, and assortments of old working tools, short documentaries and interactive points. 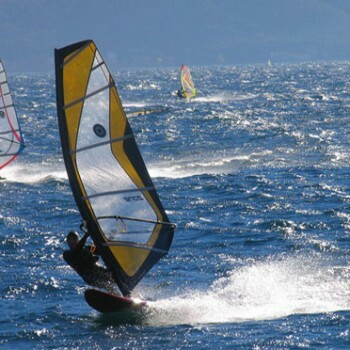 The hotel is situated in an area which lends itself perfectly to numerous recreational and sporting opportunities. ABike lovers and those who enjoy walking will receive a local map from which it is possible to identify the trail best suited to each individual based on each person’s capabilities and time available. There are many marked ‘trails’ both for walkers and cyclists, all part of a panorama able to regenerate, unwind, relax and entertain everyone. At 150 meters there is a tennis court which is available to hotel guests. 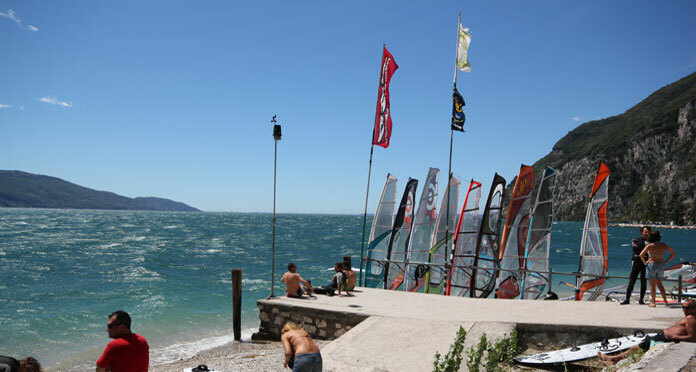 Windsurf on Lake Garda is the main water sports activity on this largest of Italian lakes. 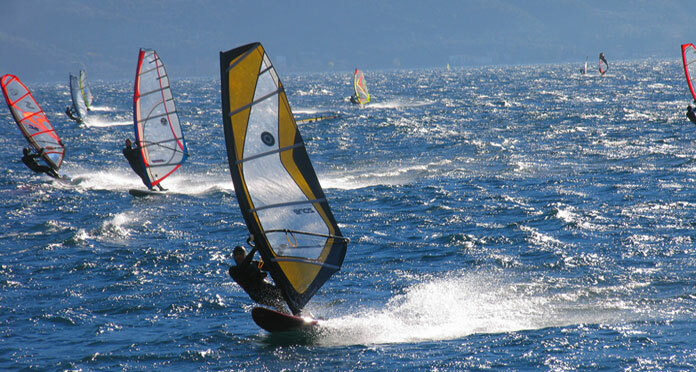 In particular the area known as Porto di Tignale and as far as Campione is particularly suited to this sport due to the presence of winds that blow strongly from dawn to dusk. (The famous Peler in the morning and Ora in the afternoon). 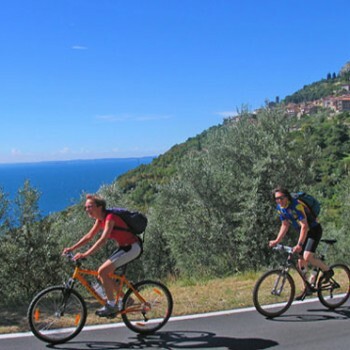 Just a short distance from the hotel is a small riding stable where it is possible to go horse riding – a unique experience in the enchanting Parco dell’Alto Garda (High Garda Park) area. Riding lessons are also available. 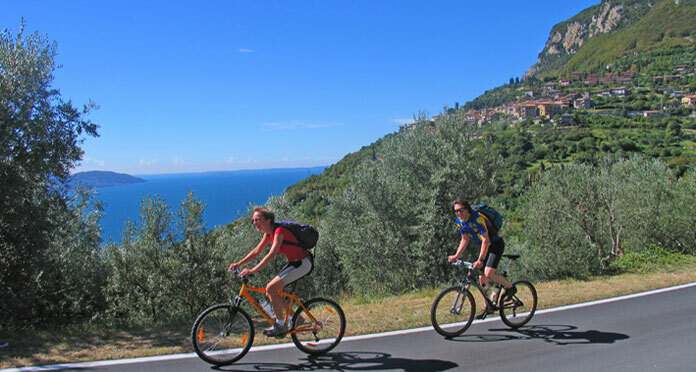 Just a few kilometers from Tignale is Gardone Riviera where you can visit Il Vittoriale, the ‘small city’ museum that the poet Gabriele D’Annunzio commissioned as a symbol of his devotion towards the cult of beauty and weapons, the Villa dei Conti Cavazza on the Isola del Garda (the island opposite Gardone), the Botanical Garden of the André Heller Foundation. In Toscolano it is possible to visit the renovated and interesting Paper Museum. Further south, in Sirmione, you will find a rare example of beauty: the Grotta of Catullo, the ruins of the Roman villa owned by the family of the Latin poet. To the north 3km from Riva del Garda, the Cascate del Varone ( the waterfall at Varone) is the result of the descent to the valley of the river Magnone and underground water seeping out of lake Tenno. The cable car at Malcesine – Monte Baldo, the world’s first fully rotating cabin to allow for a complete view, connects Malcesine to Monte Baldo in just a few minutes. The extra virgin olive oil produced at the Cooperativa Latteria Turnaria di Tignale (the village’s own oil mill) is a very high quality bio agricultural product. The thriving olive trees of the variety ‘Casalive and Gargnà growing on the terraced hillsides in one of the most enchanting areas of the Brescia High Garda Park, looked after and tended according to the most genuine tradition, the olives, picked by hand are taken immediately to the olive press; the oil extracted cold has a golden colour and a fruity taste. In Tignale it is possible to visit the oil mill, buy the olive oil and also have the benefit of experts who will explain the phases of production and the organic characteristics of the oil. Open from Easter to end of October. GUIDED VISIT OF THE OIL MILL: every Thursday at 17.00 (free entry).